Yesterday, New Profit stood with Governor Deval Patrick, the great people of Roca Inc., and a group of leaders in business and philanthropy at the announcement of the Massachusetts Juvenile Justice Pay for Success Initiative (MAPFS). 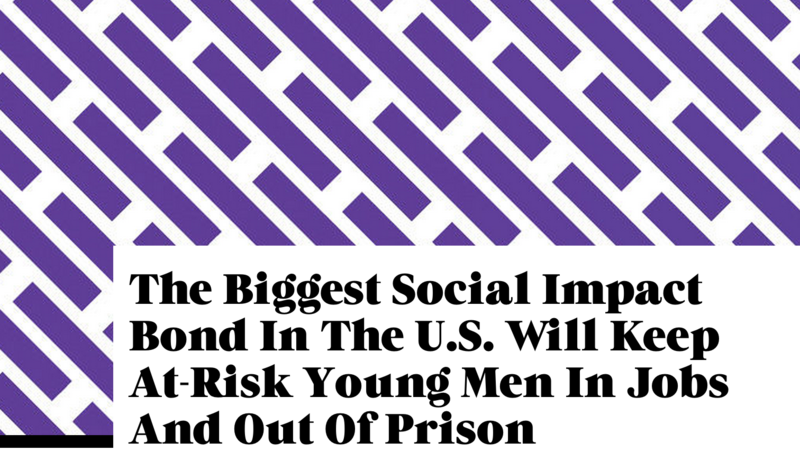 The new effort aims to combat one of the rustiest gears in the poverty cycle and a destructive force in low-income communities in Massachusetts and beyond – prison recidivism among high-risk young men. For full detail on the initiative, visit the website of Third Sector Capital Partners, the lead intermediary that New Profit collaborated with to develop and launch it. 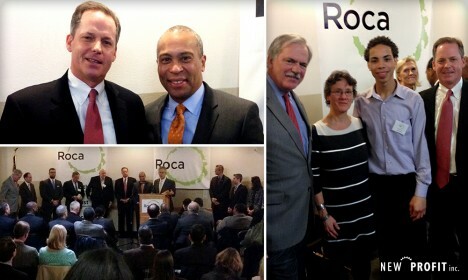 To address the challenge, a group of funders including New Profit came together and used the unique “Pay for Success” model to provide resources to expand the work of Roca Inc., a Boston-based organization that has stunning success helping young men gain skills, placing them in jobs, and keeping them out of jail. In the Pay for Success arrangement, the funders are reimbursed by the state only if impact outcomes are achieved. For New Profit, this initiative is important, first and foremost, because it represents an opportunity to take a promising social enterprise and help it achieve local and national scale, which will transform many lives and communities. It is also a platform for broadening awareness of the Pay for Success model, which we believe can change the way social problems are addressed by directing public and private capital to the highest-impact solutions. Finally, we see this as a platform for enticing even more private capital into the social sector. We are excited about the possibilities on all these fronts. But don’t take it from us. Read this quote from Ralph Bonano, a Roca participant, about the impact the organization has had on his life. Also, further down, you can view speeches from the launch event by Ralph, Roca’s Founder Molly Baldwin, Massachusetts Governor Deval Patrick, and New Profit’s Managing Director Tripp Jones. Thanks to all the members of the MAPFS team: the Commonwealth of Massachusetts, Roca Inc., Third Sector Capital Partners, Goldman Sachs, The Kresge Foundation, Living Cities, the Laura and John Arnold Foundation, and the Boston Foundation.